Home » New Products! GenCon 50! Road Crew Callout! And More! New Products! GenCon 50! Road Crew Callout! And More! NEW PRODUCTS! GEN CON 50! ROAD CREW CALLOUT! ROAD TRIP RECAP! NEW PRODUCTS IN STORES NOW! A pair of hot items are now available! 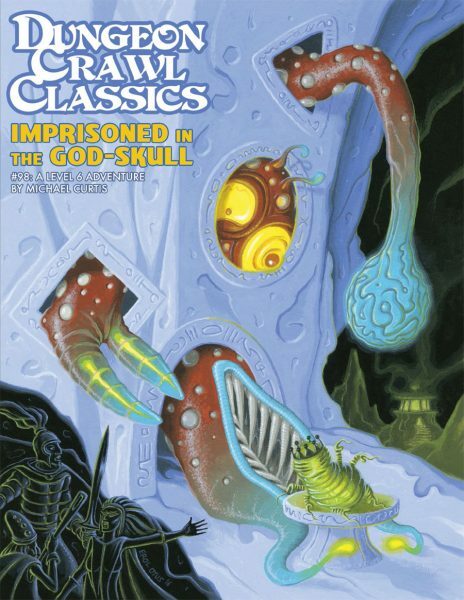 The updated Dungeon Crawl Classics #70: Jewels of the Carnifex 2nd printing includes all-new cover art by Peter Mullen, as well as a fresh editing pass and a brand-new backup adventure, “Lost in the Briars” by Brendan LaSalle. 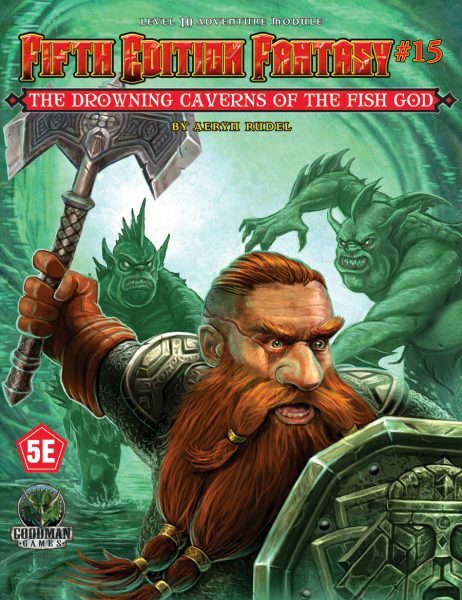 Divinities and Cults Volume II is the latest offering from Osrdan Games. Like Volume I, this work provides detailed tenets, special cleric considerations, healing side-effects, numerous divine tests, and custom spell lists for the Gods and Goddesses of both the Celtic and Roman Pantheons. We invite you to find the store closest to you carrying these books using our Retailer Locator. Alternately, they are available in our online store. Either way, you’re in for some great material for your DCC game! We are only two weeks out from Gen Con 50 in Indianapolis! We are working hard to prepare everything for what will be our best show ever! And we want you properly prepared, as well! 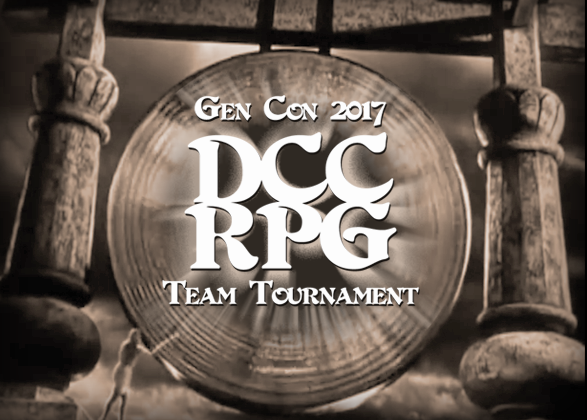 For the first time in five years, Goodman Games is sponsoring a team tournament event. If you are already signed up—or even are hoping to squeeze into the event—you need to prep! We’ve got a Player Packet specially prepared for you, giving you everything you need to be ready for the game. Download it now! And we might have mentioned there is going to be a gong. A Gong of Doom, to be precise! Every time a player dies, the gong will announce his departure from the game. And at the end, the gong will be on the move—and we’ll need your help. 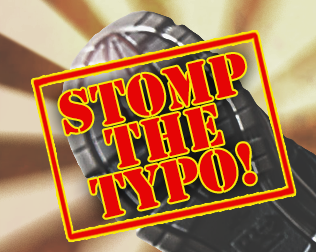 There’s so much going on with Gen Con 50 that we can’t squeeze it all into this email. Which is why we’ve made our Gen Con 2017 Headquarters page! Keep checking back here for all the latest—like the artists and writers who’ll be appearing at the booth! ROAD CREW, WE NEED YOU! 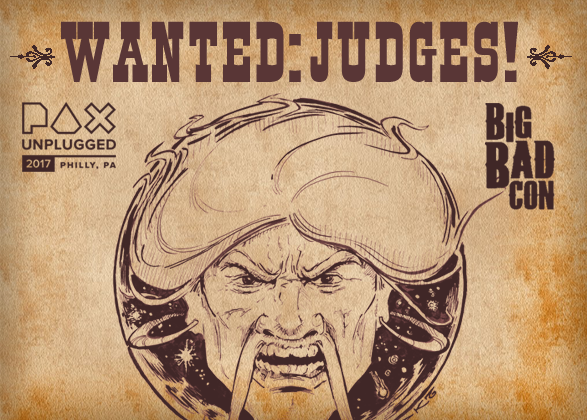 We are looking for Judges to run events at Pax Unplugged and Big Bad Con in the coming months. Pax Unplugged is the weekend of November 17-19 and Big Bad Con is October 13-15. Join up with our Road Crew and let’s get some games in place! An impassioned plea from Terry Olsen let’s you know the status with Big Bad Con. The space is there, all that is needed are people willing to run events. And signing up to run an event is easy, using their online system And the proceeds from Big Bad Con go to charity, including Doctor’s Without Borders, making it a great convention to support. 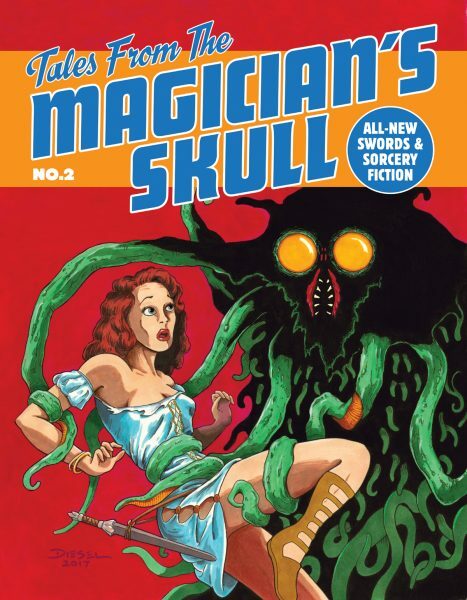 So, if you are in the San Fransisco Bay Area, Big Bad Con is calling your name! Then in November, you can turn your attention to Pax Unplugged. 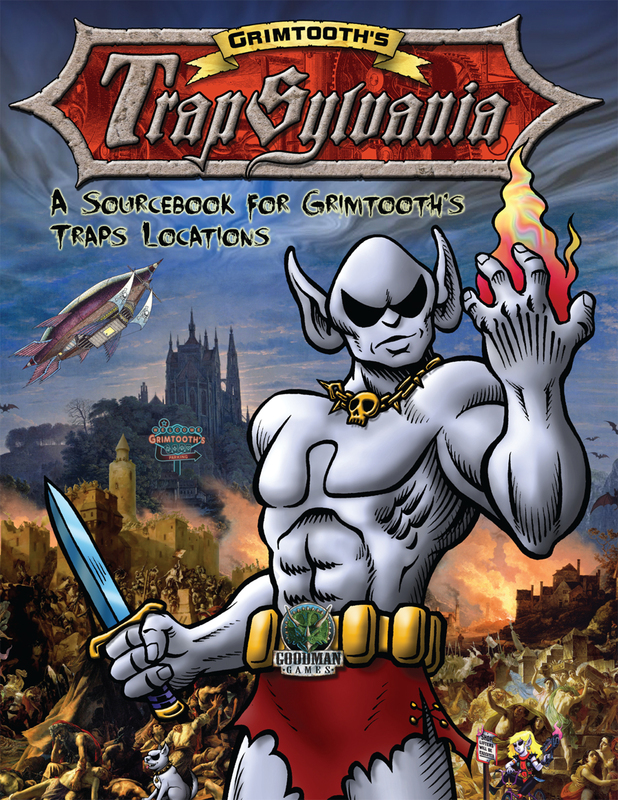 This is the first year for this new mega-show, and Goodman Games will be there! We’ll have a booth setup, with all of the latest goodies (and maybe some surprises) at the show, but we need YOU to help us run events! Pax Unplugged is a different kind of event, with the folks from Pax working with local gaming groups to set up events to be run at the show on a daily basis. 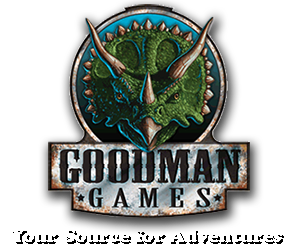 So, as proud members of the Goodman Games Road Crew, we ask that you see about getting some Goodman into the show every day in the open gaming area! We hope to see you guys at both shows! July was a busy month for our very own Judge Brendan LaSalle! He was making appearances almost every weekend, sharing the love of DCC and Goodman Games everywhere!The state of Kentucky got a special treat when Brendan and Judge Dieter Zimmerman came to visit! 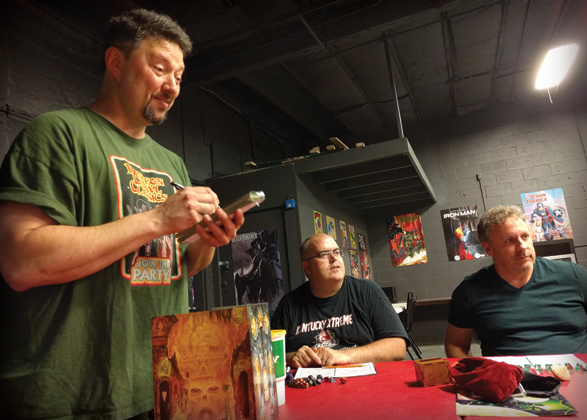 Goodman Games was a towering beast at the Slur Your Role event at the Kaiju bar in Louisville Kentucky! We had a fantastic time at a amazingly cool venue, and along with Nerd Louisville raised more than $200 for local children.We had a fantastic time at Heroes Comics in Louisville Kentucky. 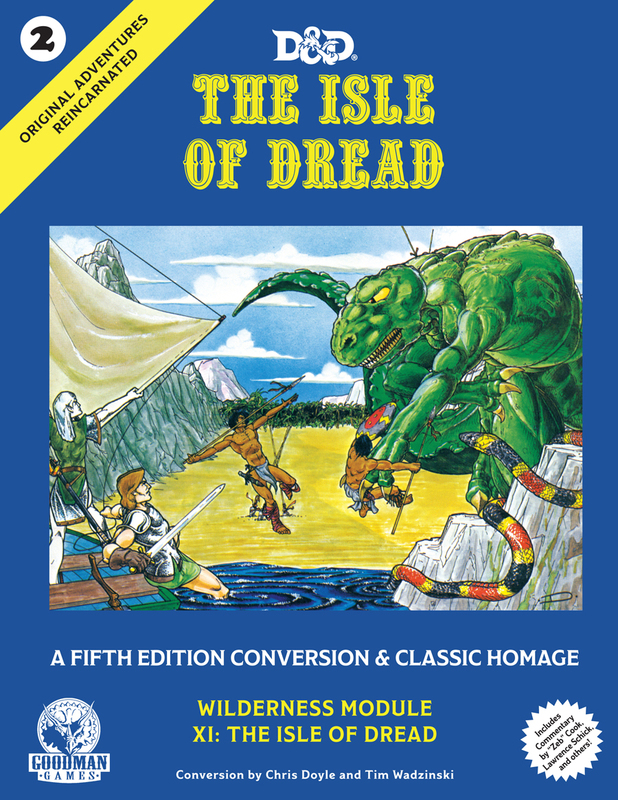 Twenty-nine brave adventurers dared to risk everything to discover the treasures that live behind the Hole in the Sea. And it would not be a trip to Kentucky without a stop at the world headquarters of precision randomizers, GameScience Dice! Brendan and Dieter managed to make their saving throws and not go insane being around so many incredible dice all in one place. Then, Brendan made his way to Drinking and Dragons VI in New London, Connecticut! 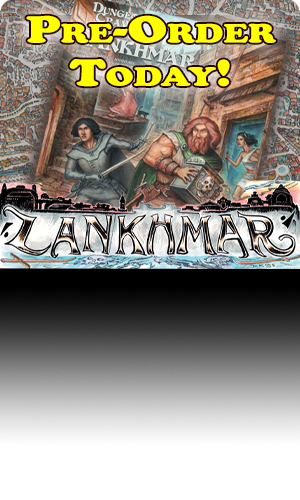 A group of stalwarts searched for the secret of the Stolen City- one got squashed by a 70′ woman and one merged into a cosmic being who brought the trickster god Iktomi to Aerth. 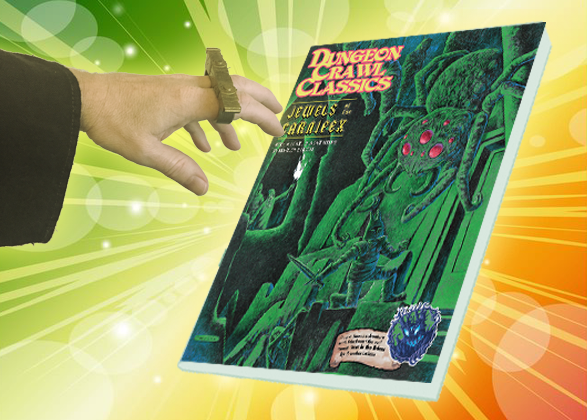 So, you know, Dungeon Crawl Classics. This gathering also saw the debut of Xcrawl: Providence. In all, it was a slamming good time! Thanks to everyone who attended and the organizers for putting together this great event! And if you want to know where we’re going to show up next, make sure to keep tabs on our Convention Schedule!